Peter Brant and Stud Vendaval's champion Chilean-bred Wow Cat will make her North American debut for trainer Chad Brown in Sunday's Grade 3, $200,000 Shuvee for fillies and mares at 1 1/8 miles at Saratoga Race Course. The 4-year-old Lookin At Lucky filly was undefeated in her native Chile, winning all eight of her career starts by a combined 47 3/4 lengths at distances ranging from 6 1/2 furlongs to 1 3/8 miles. Unraced at 2, Wow Cat made her debut in April of her sophomore year, during which she became the first filly to win that nation's Triple Crown and registered Group 1 victories in the Tanteo de Potrancas, 1,000 Guineas, Alberto Solari Magnasco, and St. Leger. Following her champion 3-year-old season, Wow Cat was purchased privately and moved to the United States under the care of Brown, who said the Shuvee has long been on Wow Cat's radar. “I've been impressed with her so far,” he said. “We've given her plenty of time to acclimate and her works have been strong of late. A mile and an eighth on the dirt off a layoff is a tall order. She seems to be of very high quality, it's just overcoming that layoff. “This race seems to fit her really well and John Velazquez is going to ride her. I don't know where she'll put herself in the race, but it'll be up to him,” he added. Hall of Famer Velazquez will ride from post 4. Wow Cat will be joined by her stablemate Pacific Wind, who is exiting a fourth-place finish in the Grade 1 Ogden Phipps on June 9 at Belmont Park, beaten 9 3/4 lengths by Abel Tasman. Prior to that, the 4-year-old chestnut filly by Curlin earned her first stakes win with a one-length victory in the Grade 2 Ruffian in May. The Shuvee will be Pacific Wind's fourth start for Brown after starting her career on the West Coast. Pacific Wind, owned by Sharon Alesia, Ciaglia Racing, Peter Brant and Dominic Savides, will be ridden by Irad Ortiz, Jr. from post 6. Coffeepot Stable's multiple graded stakes winner Farrell will make her first start at the Spa for the Wayne Catalano barn. 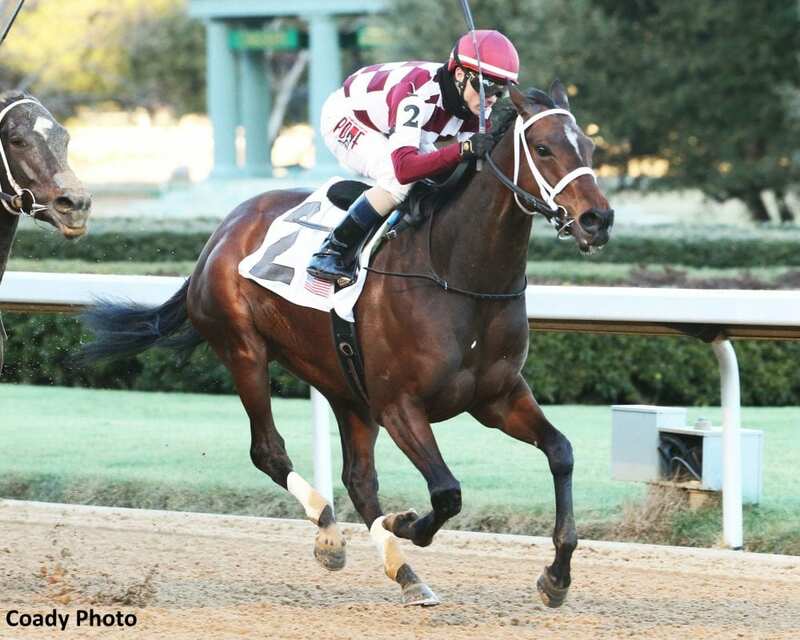 The frontrunning Farrell, a 4-year-old Malibu Moon filly, is looking for her first graded stakes win of the year and is exiting back-to-back runner-up finishes at Churchill Downs in the Grade 1 La Troienne and the Grade 2 Fleur De Lis on May 4 and June 16, respectively. Most recently, Farrell was an early scratch from the July 14 Grade 2 Delaware Handicap. Regular jockey Channing Hill has the return call. The pair will leave from the outside post 7. Trainer Todd Pletcher will be represented by Ivy Bell, winner of the Grade 2 Inside Information in March and Grade 1-placed with runner-up finishes in the May 5 Humana Distaff and the Odgen Phipps on Belmont Stakes Day. Ivy Bell, a 5-year-old Archarcharch mare owned by China Horse Club, Madaket Stable and Mathis Stable, will break from post 5 with Hall of Fame jockey Javier Castellano aboard. Rounding out the field for the Shuvee are Tiger Moth, most recently fifth in the La Troienne; Verve's Tale, who finished fifth in the Grade 3 Allaire DuPont Distaff on May 18; and Frost Wise, running with blinkers off following a well beaten ninth-place finish in the Critical Eye on May 28. This entry was posted in Racing and tagged Chad Brown, farrell, pacific wind, saratoga, shuvee stakes, wow cat by NYRA Press Office. Bookmark the permalink.